Welcome to Kiddie Academy 2! Welcome to Kiddie Academy 2! 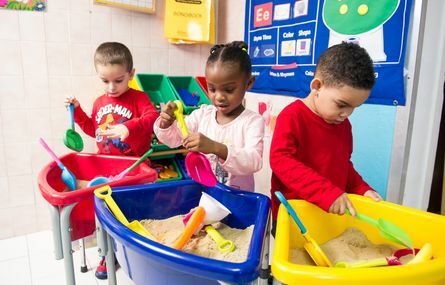 Bermuda’s Play-Based, Hands-On Nursery & Preschool! Kiddie Academy II is owned and run by Mrs. Sharon DeSilva. A passionate educator with a genuine love of children, Mrs. DeSilva has trained with The Montessori World Educational Institute, Almeda College and University and Bermuda College. She opened the original Kiddie Academy in 1995. Located in Warwick, the school became so popular that two additional locations were opened in Bailey’s Bay and Hamilton. Sadly, an illness in her family caused Mrs. DeSilva to close the Warwick and Bailey’s Bay locations in 2006. Today she focuses her considerable attention on Kiddie Academy II in Hamilton where each age group has their own dedicated classroom and each classroom is designed to cater to the specific needs of each age group. Seventeen years on, Kiddie Academy II continues to make a positive difference in the lives of Bermuda’s children. 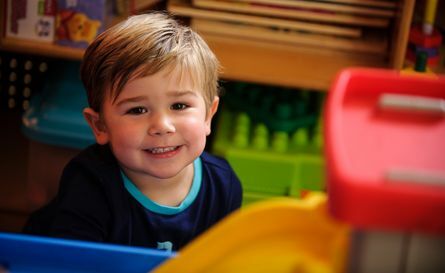 At Kiddie Academy II, we strive to provide a fun and healthy play-based, hands-on learning environment. Working with Montessori philosophies and traditional curriculum, our team is dedicated to providing children with active, relevant investigations of their environment that will stimulate their senses and enable them to learn at their own pace. Please view our curriculum today to or contact us for more information. Bermuda Yellow Pages Copyright 2019. | All rights reserved.